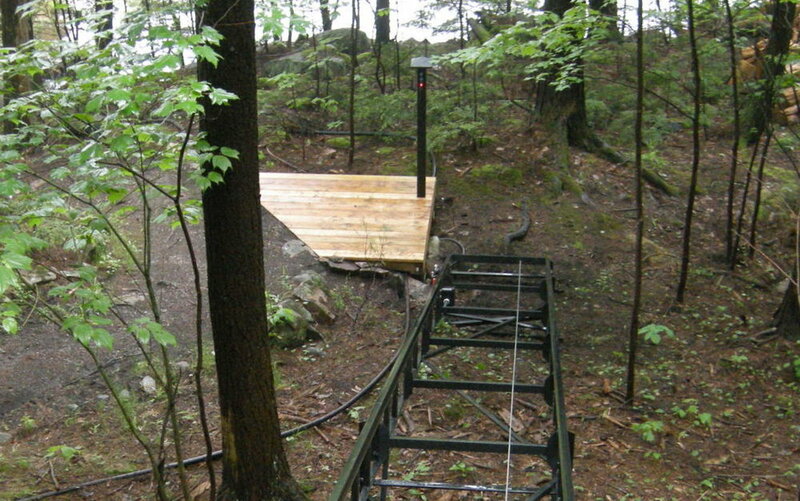 Lift 55: A Longish Ride from the Yard, through the Forest to the Boathouse Level. 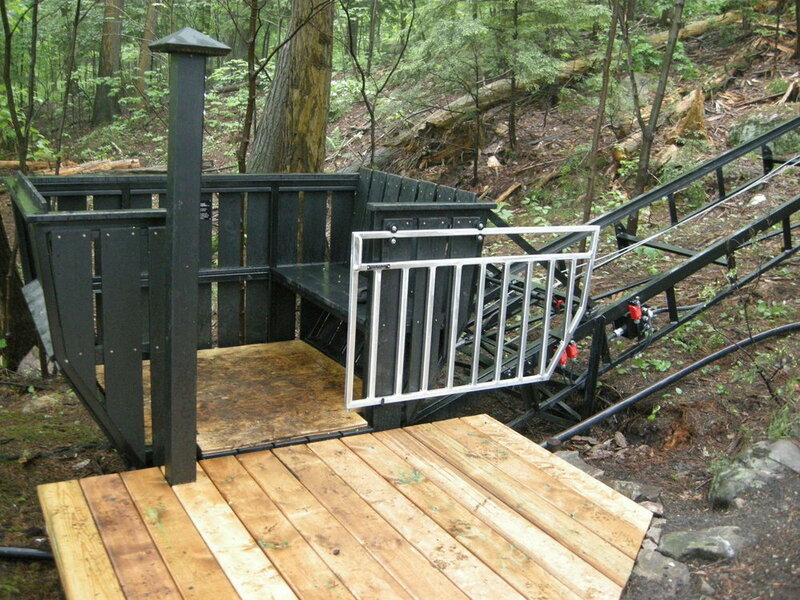 — Inclined Elevation Inc.
For several years these owners had considered having either a lift or a roadway installed to connect their cottage to their boathouse. They finally decided the time was right to have us build this lift for them. The lower station required only a minimal platform to connect the car to the path that run from the boathouse to the cottage. This lift can barely be seen from the water. The plywood on the floor of the car is used during the construction process to minimioze wear on the floor. Looking down the track to the lower station. The lift is far enough back from the water that it is almost invisible to boaters. The tallest legs are about 10 feet off the ground. The ride through the forest is serene and picturesque. The upper platform of this lift is hidden at the back end of a garden and will blend in nicely once the station platform is built. Because the track is low to the ground for the upper 60 feet, we located the motor and winch drum at the top end, tucked away inside the track. The panel, which had to be mounted separately from the track, is bolted to a welded steel frame lagged into the bedrock. Older PostLift 54: An 100' Island Lift.